I use running to stay healthy and fit enough to run after my nieces. During the New York City marathon, I dedicated each of the 26 miles to different individuals. I ran the last mile for my dog, Max, because he was my training partner through all the rough morning and late evening workouts. He never quits! I love running and enjoy when others do too. It is fun to see and help others reach their running goals! When I paced the Miami marathon a woman ran in the pace group from start to finish. 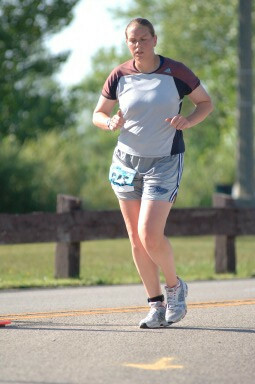 She encouraged others along the course but the best was her excitement at the finish; it was so much fun! She could not believe she had just run 26 miles! I am an experienced runner who keeps a consistent pace. I love hearing about what makes others start running and what keeps them going. I love to laugh and have a good time. Be ready for encouragement and fun while we finish within our goal time!! !